Audiophile DAC & Network Streamer, ESS ES9038PRO SABRE DAC, High Resolution Audio Player, App Control via Smartphones and Tablets. Sonica DAC pairs the absolute sound quality of a traditional audiophile DAC with the convenience and versatility of a high resolution network player. 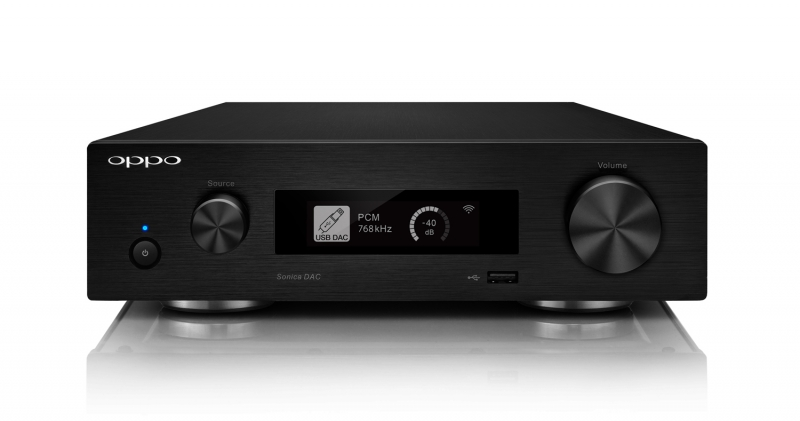 Whether you're connecting a computer via USB, or streaming from DLNA servers on your computer or NAS drives, Sonica DAC ensures that you're hearing your favourite music at its best. Sonica DAC allows you to access your favourite music in many different ways. It can be used as a traditional DAC to improve the audio performance from your computer via USB, as a high resolution media player decoding audio from connected USB storage devices, or even as a network streamer playing content from DLNA servers and via AirPlay and Bluetooth. Sonica DAC is controlled via a dedicated app for smartphones and tablets, allowing you to easily find and access content from DLNA servers, connected USB drives, and streaming services such as Tidal and Spotify. 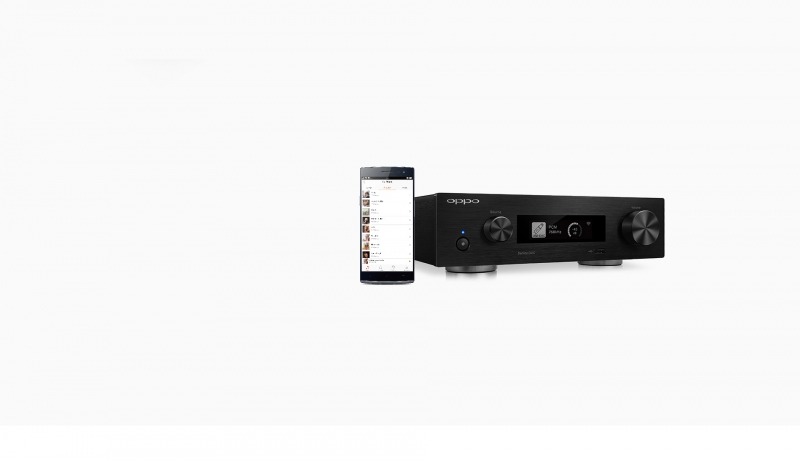 Sonica DAC is equipped with ESS Technology's ES9038PRO 32-bit HyperStream DAC. As the flagship of the ESS SABRE PRO series, the ES9038PRO sets a new benchmark for audio excellence with its best in class 140 dB of dynamic range. Sonica DAC brings high-resolution audio playback, network streaming, and mobile device connection to your existing home audio system. 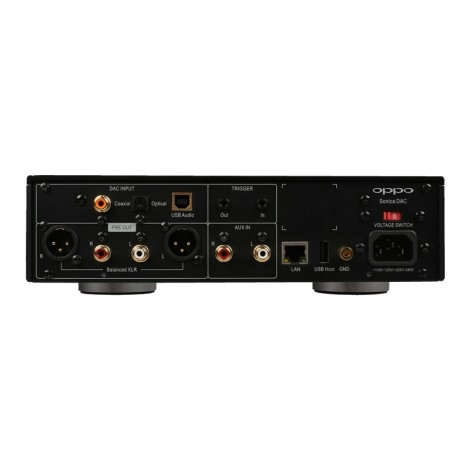 As a member of the OPPO Sonica product family, the AUX input of Sonica DAC enables you to connect existing analogue audio source to the Sonica multi-room network. Add some Sonica Wi-Fi speakers and enjoy your favourite tunes anywhere in the house. Sonica DAC sports a classic aluminium chassis with the familiar volume and source selection knobs. A 2.8-inch OLED display complements the brushed metal front panel, offering read out of the current volume and detailed information about the audio signal.